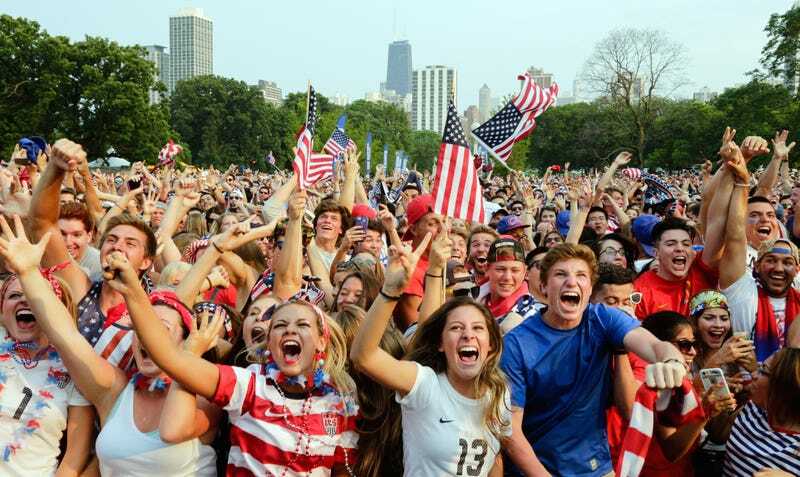 It’s becoming something of an American soccer tradition: the day after the match, we get to see how our countrymen and countrywomen cheered. Whether you were hugging a stranger in a bar or slamming out some gibberish on Twitter, the USWNT’s World Cup final win over Japan—especially the insane first 16 minutes—made us all crazy. Thankfully, some of you filmed the reactions, and they ought to be shared with the world. If you have a reaction video for any of last night’s goals, or if you find one online that we don’t have yet, please send it to us. We’ll keep adding videos here as they come in. For now, a few good ones to get the celebration started. See more vids out there? Send them to us at tips@deadspin.com.